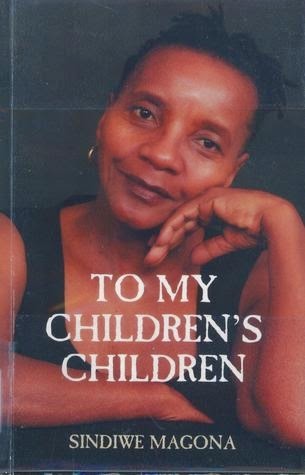 and her only brother moved to live with their parents, she started to experience the dire consequences of apartheid. To mention a few, midnight police raid, racial segregation, poverty, movement restriction, uprooting and so on. However, she made it to teaching school and graduated. Her parents and extended relatives were proud of her until she became pregnant out of wedlock for a man who barely could take care of himself. Anyway, which black person could take care of themselves with dignity in apartheid South Africa? Since the system reduced them all to working robots with a meagre salary. Poorly surviving with a child, she had two more children, that was when life became unbearable. To make matters worse, her "husband" abandoned her with three children. Very young and jobless, she resorted to working as a housemaid for the privileged whites, in my opinion, which inspired her to write her second novel Living, Loving and Lying Awake at Night. Interesting autobiography, the middle not so much, which almost made me abandon. The writing is sometimes, sort of difficult to follow. Though, it shouldn't discourage you from reading the book if you are interested in studying the damages of apartheid and the coming of age of a black woman in its system. By the way, I found out that "Forced to Grow" by same author is a sequence to this autobiography. Which, I hope to read. I look forward to finding out how she finally survived. My version of the novel is the one published by the Women's Press Ltd, 1991. Intriguing review, Maryl I should love to read this book. Yes, go ahead. I am sure you would like it.